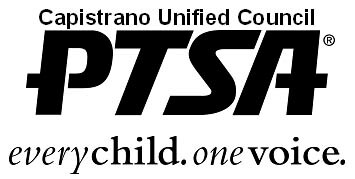 Capistrano Unified Council of PTSA (CUCPTSA) represents more than 21,000 members from 54 schools’ PTA/PTSA units in Capistrano Unified School District. Our primary goal is to empower unit PTAs to advocate on behalf of our students through Legislative, Community Advisory Committee (CAC) and Art Advocacy programs. These programs provide parents with resources and information of legislative updates and programs provided by our school district. The main purpose of CUCPTSA is to provide support, guidance and resources to our school unit PTAs to assist them in providing programs that will enhance the educational experience of our students and strengthen the home-school connection. We also look to acknowledge the amazing work of our students, teachers, and staff district- wide through our Reflections Program, Special Education Sunshine Awards and College Fair.